i have another friend i'd like you to meet today. holly of bijou lovely! holly is a talented quilter, designer, pattern writer, photographer, and all around creative gal! 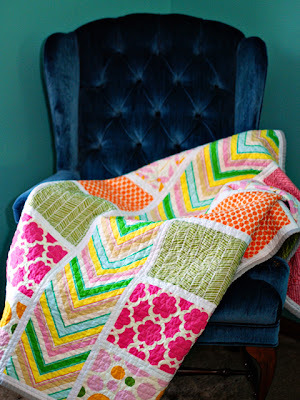 check out her tutorial for herringbone blocks - they are really cool. see? she's also the host of the inspire circle of do. good stitches, which is how i met her. each month, our group creates blocks for a charity quilt, designed by one of our circle's awesome members. 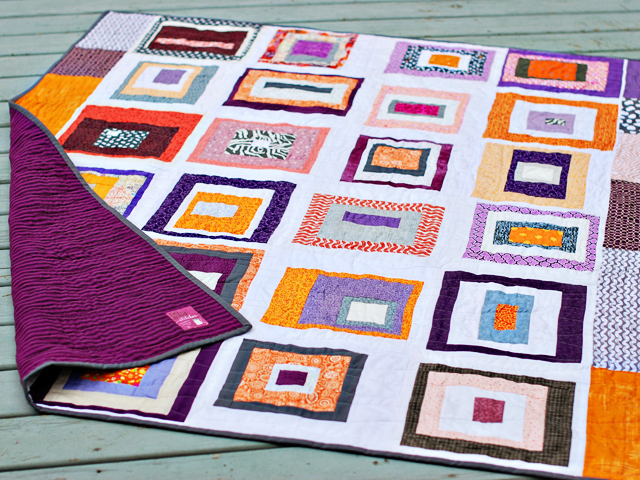 we send the blocks to that month's quilter, who creates the quilt and delivers it to it's recipient. 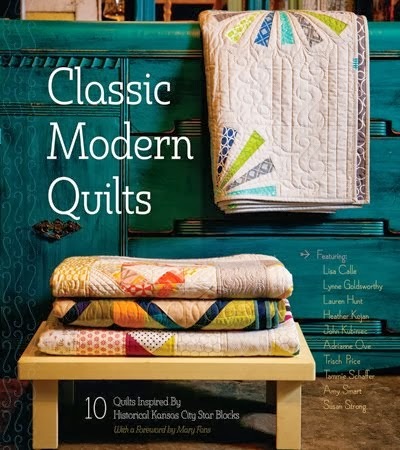 it's been really rewarding to be a part of this - each month i find myself challenged to create a unique block to become part of an amazing quilt, and i have learned a lot about quilting, while doing something good! here's another one of the quilts holly designed that we contributed blocks to - sherbert squares. so, if you haven't yet, stop by her blog, she's always inspiring! 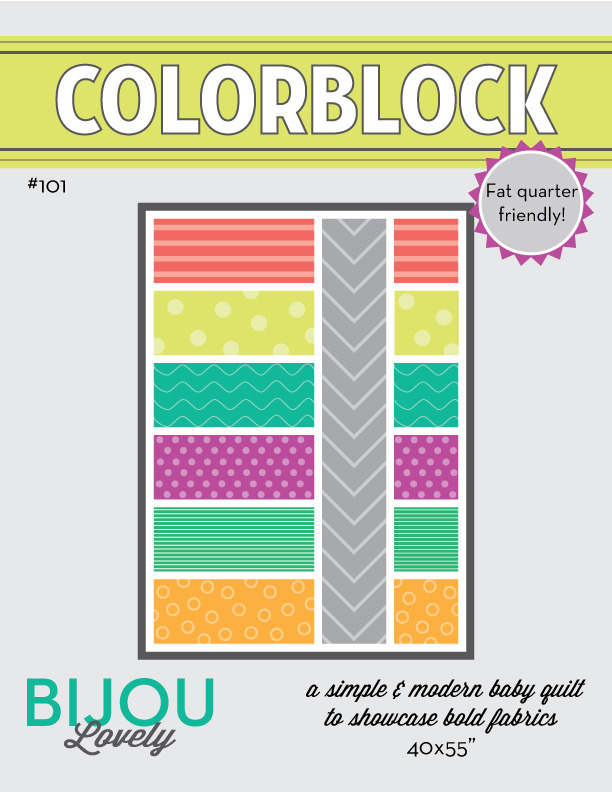 she is giving away TWO copies of her colorblock pattern to you guys today! 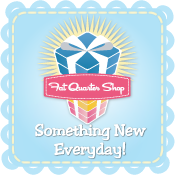 if you're not feeling lucky, you can always buy it from her shop and get stitching! this pattern is perfect for showcasing large prints. good luck to everyone! winners will be drawn at noon july 16th, and will have one week to claim their prize before a new winner is chosen. thanks! 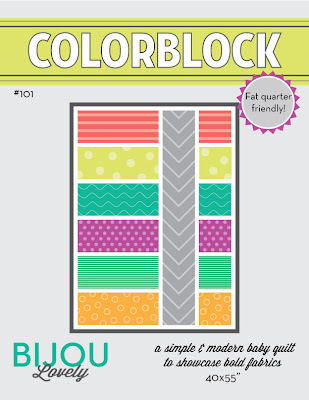 I'm thinking the Bloggers Bundle by Cara W. of CaraQuilts would be perfect. But since that's not a single line of fabric, I could go to Apple of My Eye as a back-up plan. I might try Kate Spin's new Cuzco line - love those deep colors! I'd make it with solids! 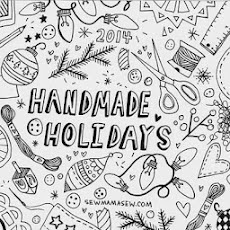 I have some Tula Pink Parisville that would be fab for this. I haven't worked with all solids and I think this would be a great first pattern to try it with. I would love to make it with Vintage Modern. They are all so lovely! Maybe scrappy? Good way to use up those leftovers! I'm going to say either scrappy or maybe some Amy Butler Cameo! Not sure what fabric prints I'd use...maybe one with straight solids and another with Lucy's Crab Shack? Okay...maybe another with some Hawaiian prints fabs, if I can find some cool modern ones. I'm not sure what fabrics I would use, but something bright and fun for baby's nursery! I think I'd make this up in solids with either a heather bailey or amy butler print. I would use a walk in the woods. It would show it off beautifully. I would use Birds and Bees by Tula Pink! thanks! 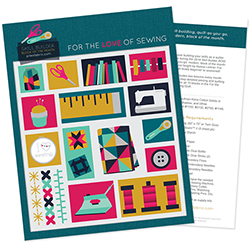 I have a huge stash - so I'd choose a focus fabric and some blenders & make the pattern. Thanks for the giveaway. I think the kona solids would be awesome. With orange as the focal color. I've got some yummmy moda crossweaves that would look great in that chevron! 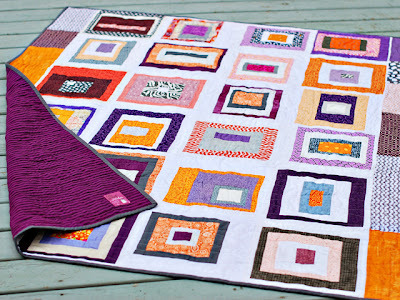 I would use my stash to make the quilt for an upcoming baby shower. I think I would make it with Kona solids! I just swapped and have lots of lovely colors! Wouldn't it be fun in all polka dots? I think that's what I'll make for my sister and brother-in-law when they adopt!! What a super pattern. I'd love to usesome Kate Spain, maybe some of the new beautiful solids out now. 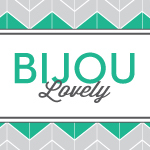 Thank you and Bijou Lovely for a great giveaway and a chance to win. 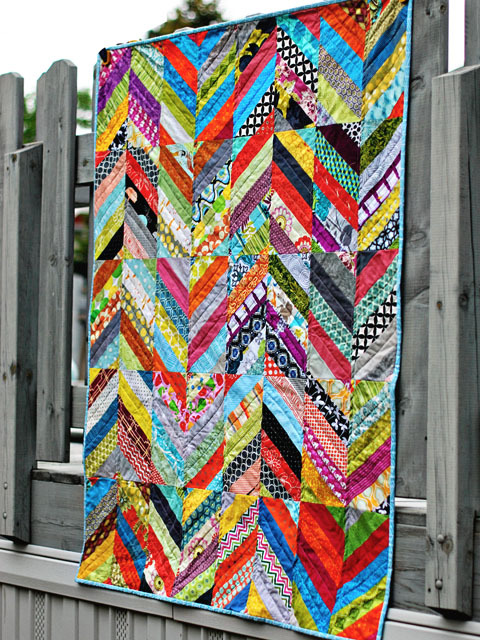 I would love to make this with solids and patterned colours in greens, purples and greys. No novelty prints just plain colours. It is a great pattern.